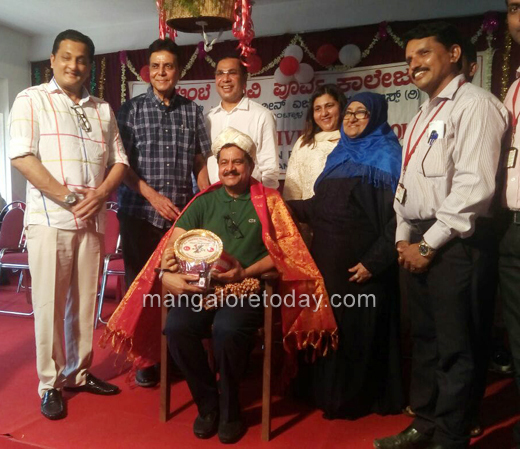 Bantwal , Dec 04, 2017 : Shabana Block, the new building of Thumbay Pre-University College was inaugurated by Shabana Faizal, Co-Founder of KEF, Dubai at a function held at the College premises on December 4, Monday. 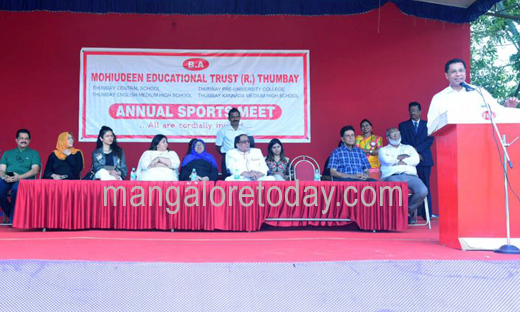 B Ahmed Hajee Mohiyudeen, Founder of Thumbay Mohiudeen Educational Trust who presided over the function, said dedication, discipline and time consciousness play a very important role in success in life. 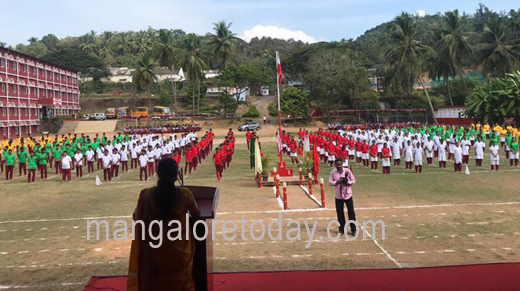 The institution which had just a handful of students when it was founded 29 years ago, presently has around ,500 students and over 60 teaching and non-teaching staff, he said and exhorted students to strive to bring laurels to the nation. Gulf Medical University Chancellor and Founder President of Thumbay Group UAE, Dr Thumbay Moideen, KEF CEO Sophia, KEF Founder Faizal KE also spoke on the occasion and wished the students of the institution a great future. 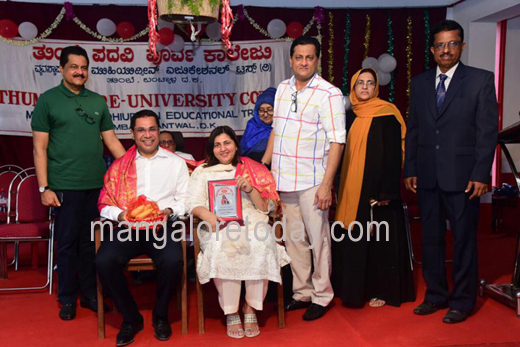 Scholarships worth Rs 10 lakh was distributed among 160 students on the occasion. College Principal K N Gangadhar and others were present. Students also presented a cultural programme on the occasion.